Statistical methodology is of great importance to medical research and clinical practice. 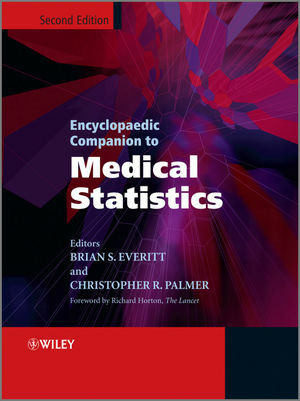 The Encyclopaedic Companion to Medical Statistics contains readable accounts of the key topics central to current research and practice. Each entry has been written by an individual chosen for both their expertise in the field and their ability to communicate statistical concepts successfully to medical researchers. Real examples from the biomedical literature and relevant illustrations feature in many entries and extensive cross–referencing signposts the reader to related entries. Contains accounts of over 400 statistical topics central to current medical research. 80% of first edition entries updated and revised. Presents the latest techniques used at the cutting edge of medical research. Covers common errors in statistical analyses in medicine. Real examples from the biomedical literature and relevant illustrations feature throughout. Contains contributions from over 70 experts in the field. Medical researchers, researchers and practitioners in medical research and statistics will benefit greatly from this book. Brian Everitt, Head of Biostatistics and Computing Department and Professor of Behavioural Statistics, Kings College London. He? has authored/co-authored over 50 books on statistics and approximately 100 papers and other articles, and is also joint editor of Statistical Methods in Medical Research. Christopher R. Palmer, Director of the Centre for Applied Medical Statistics, University of Cambridge. Biographical Information on the Editors. Encyclopaedic Companion to Medical Statistics A–Z.